Kindred 18 Ga drop-in basin - 16-3/8" X 18-1/2" X 7"
Premium 18 gauge stainless steel top mount vanity basin. 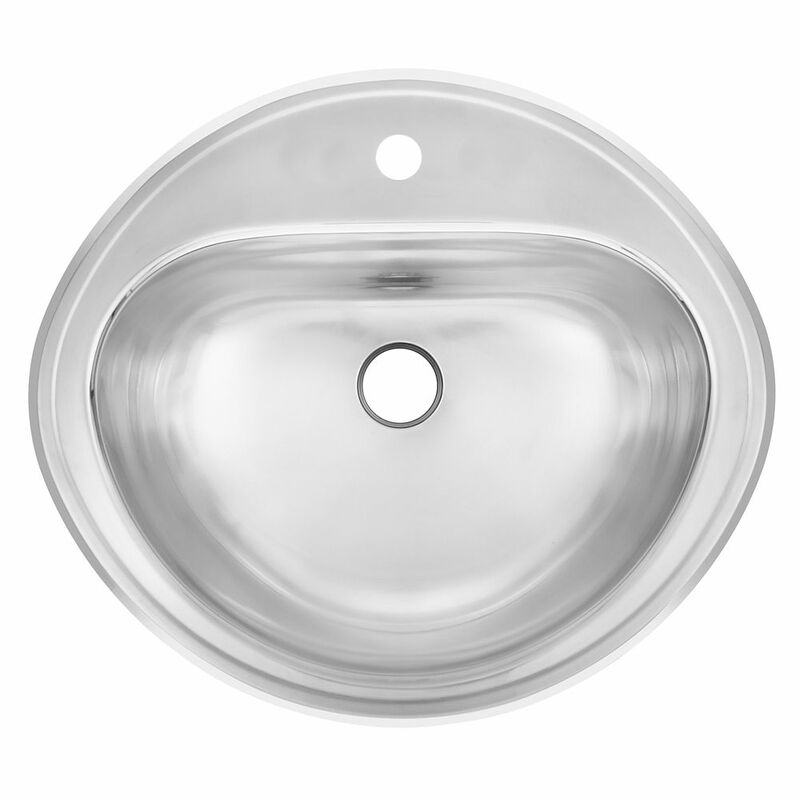 Sink features oval shape, rear drain for more storage below, front overflow, rear faucet ledge with 1 hole drilling, silk deck and bowl for bright and shiny good looks without sacrificing on ease of cleaning, and 1.25" waste hole. Waste fitting is not included. This drop-in vessel sink is part of Acri-tec's Neptune Ceramic Collection. Forged from a proprietary blend of clays, Acri-tec's ceramic sinks are cast to ensure exceptional strength as well as long term durability. All Acri-tec ceramic sinks are coated with a unique easy clean finish which not only helps to seal the sink against bacteria and microbes and makes is exceptionally easy to wipe clean, but also provides a durable gloss finish. All Acri-tec Neptune basins include overflows and are CSA approved. Beautifully detailed, the Devonshire Suite captures the essence of old-world elegance. The simple yet striking combination of curves and design lines adds refinement and distinctive visual impact to bath and powder rooms. Also available in store by special order only see store for details. 18 Ga drop-in basin - 16-3/8" X 18-1/2" X 7" Premium 18 gauge stainless steel top mount vanity basin. Sink features oval shape, rear drain for more storage below, front overflow, rear faucet ledge with 1 hole drilling, silk deck and bowl for bright and shiny good looks without sacrificing on ease of cleaning, and 1.25" waste hole. Waste fitting is not included.